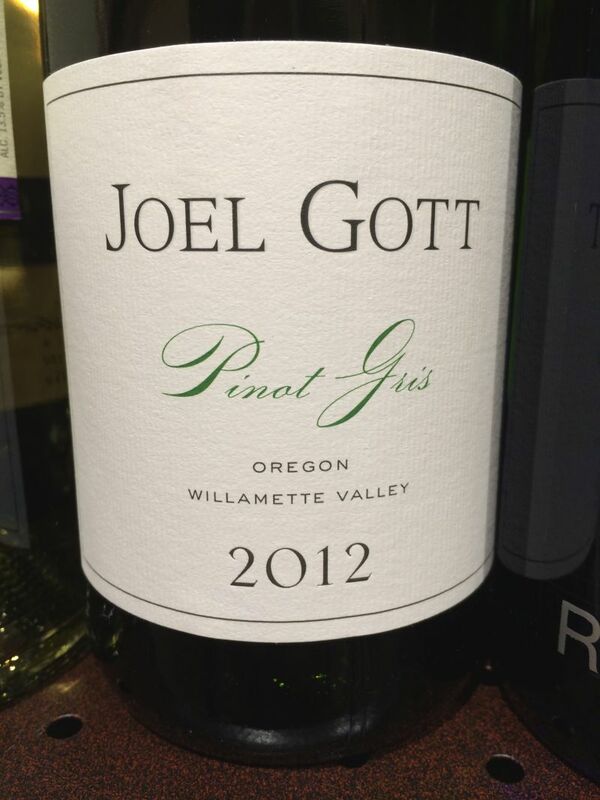 This week’s bargain wine is Joel Gott Pinot Gris. Pinot Gris is the French name for the grape that the Italians call Pinot Grigio. The wine is made by a Napa vintner from grapes grown in the Williamette Valley in Oregon. It is available from Safeway and Bevmo. We were able to carry out an interesting experiment with this wine. 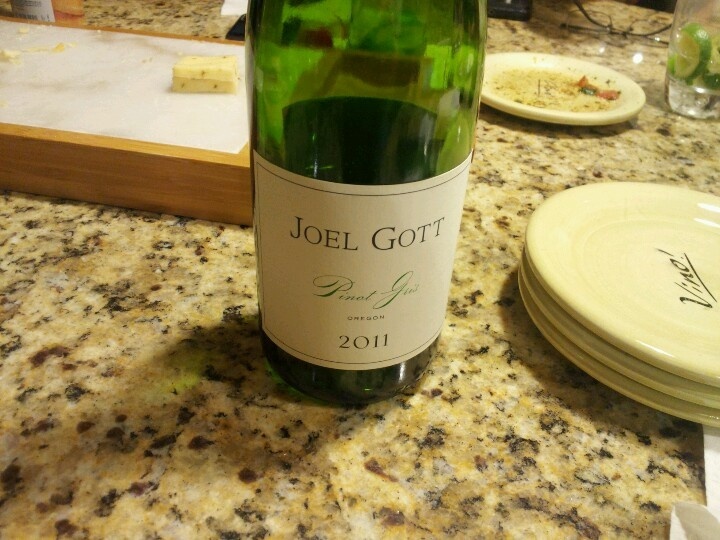 One of our friends is fond of Pinot Grigio in general and Joel Gott in particular. We had opened a bottle for her just over a week ago. She had consumed about half of the bottle. When I went to the wine fridge to pull out a bottle that we could taste for this post, I found the open bottle and a new one. A week is clearly a long time for an open bottle of wine, but I thought it would be fascinating to try it side by side with a freshly opened bottle. To our surprise, the old bottle tasted identical to the new one. I suppose the combination of refrigeration and a screw-top had helped keep the level of oxidization to a minimum. California Girl comments: Brit always defers to me when it comes to flavors, although I think he short changes himself. In this instance, he brought me two glasses and asked me if I could tell the difference between the two. Both were indeed exactly the same. Maybe we should try refrigerating the open red wines too and then allow it to warm to room temp for drinking. Hmm, we will have to try that. The color of the wine is very pale. Its nose has hints of honey with a strong floral aroma. There is medium acidity. Tasting offered a restrained blend of pear and grapefruit with an aftertaste of flint. In summary the wine is ideal as a refreshing summer drink, with the added advantage that it clearly keeps for several days after opening.